Long time ago, i wrote a short post about jewelry and some of my favorite rings, and i remember saying that i prefer silver over gold. And that was the case, until recently. With time the golden color really grew on me, i bought few golden pieces, and now i'm obsessed. Now i manage to combine the two, silver and gold, even rose gold, all together, which was unimaginable to me previously. And not just jewelry, but make-up and nail-polish as well. I really think that golden eyeshadow, eyeliner and red lipstick are the perfect autumnal make-up. 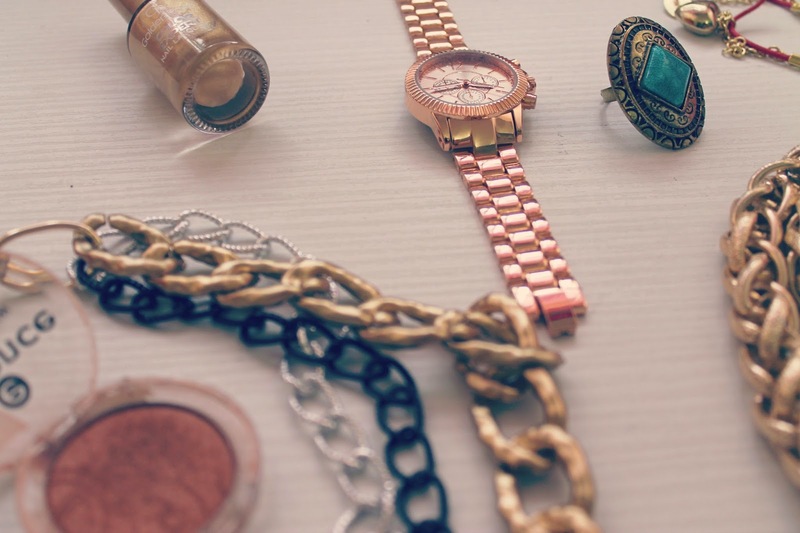 These are some of my "golden" favorites and just a few items i like to wear these days. 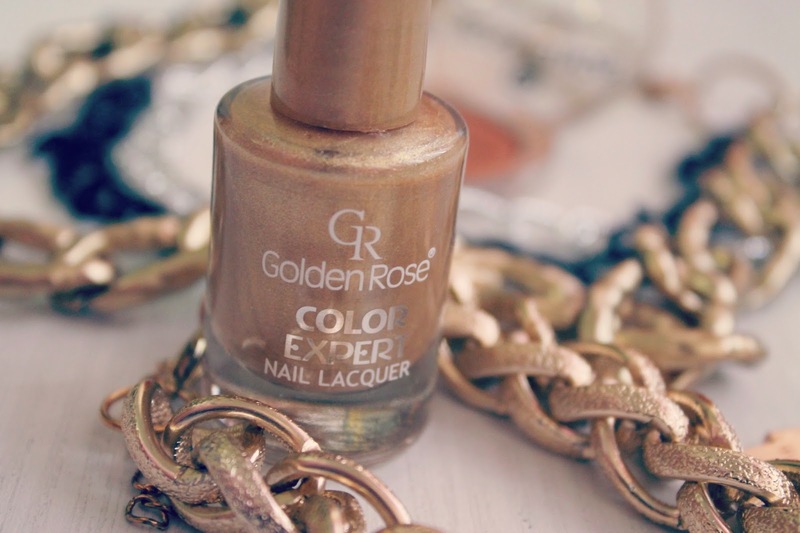 What is your favorite color/item this autumn, whether is jewelry, make-up or clothing? 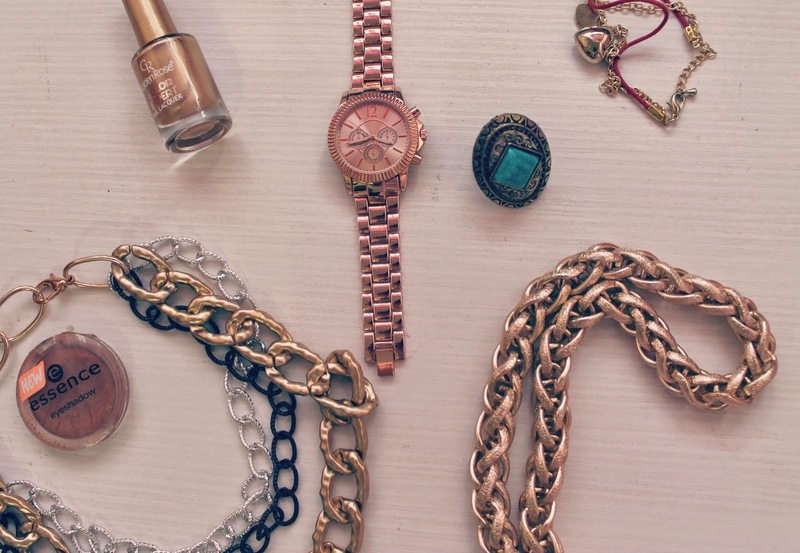 Love Rose Gold items they so beautiful! what a beautiful jewellery collection! i particularly love the ring!